Many of us have been conditioned to believe that investing is too difficult and time-consuming to attempt on our own. With so many products to choose from and so many risks involved, a financial "professional" is the only person qualified to handle the money you'll retire on some day, right? The truth is, no one cares more about your money than you do. And with a basic understanding of the investment process and the time-tested strategy offered here, you can successfully manage your own portfolio in less than twenty minutes a year. 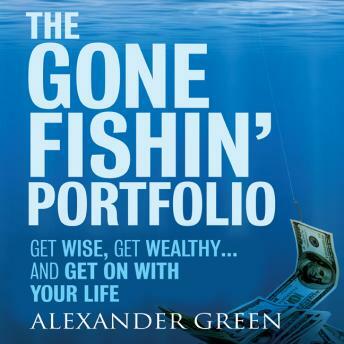 The "Gone Fishin' Portfolio" is based on an investment strategy that won a Nobel Prize in economics. Yet setting it up is a snap and maintaining it is even easier. You'll need less than twenty minutes a year. The philosophy behind the "Gone Fishin' Portfolio is based on the best investment thinking available. Investors who have put their money to work this way have enjoyed years of market-beating returns while taking far less risk than being fully invested in stocks. The "Gone Fishin' Portfolio " will allow you to reach your most important investment goals, beat Wall Street at its own game, and achieve the financial independence you deserve.